From a Visa black card to the Amex Centurion card, see the world’s most exclusive credit cards. Living the luxury lifestyle means access to a wealth of perks and VIP travel benefits, especially if you’re a cardholder of some of the world’s most exclusive credit cards. However, a luxury card made of stainless steel or a gold card with 24-karat gold plating might not be enough to demonstrate your wealth — today’s elite carry black credit cards that are bestowed upon a select few. What is a black card? Black cards from Visa, MasterCard and Amex cards are exclusive, high- or no-limit credit cards, usually only available on an invitation-only basis to wealthy customers. Many of today’s luxury credit cards offer unlimited credit card rewards programs, generous cash-back incentives and other benefits like VIP access to private jets and more. Whether you’re a multimillionaire looking for your next credit card or you’re just curious about credit card perks and luxuries the wealthy indulge in, here are the top 10 most exclusive black cards you don’t know about and four other elite credit cards you might be able to get your hands on. If you’re wealthy enough and have a high-status lifestyle, your bank will reach out to invite you to get a black card and become an exclusive member soon enough. You won’t know if you qualify for a black card until you’ve been invited by the bank or credit card issuer to apply for one of the elite black credit cards. You’ll likely need to be an existing client of the bank with high credit card usage, good payment history, high income and other qualities that demonstrate you’re worthy of this exclusive privilege. Because most of the requirements of those invited to become cardholders remain elusive, it’s hard for outsiders to know exactly who can or how to qualify for an invitation to apply for these black cards — there’s no single, definitive answer as to how to get a black card. In the meantime, focus on building your wealth and keep using your current credit cards to maintain good standing. 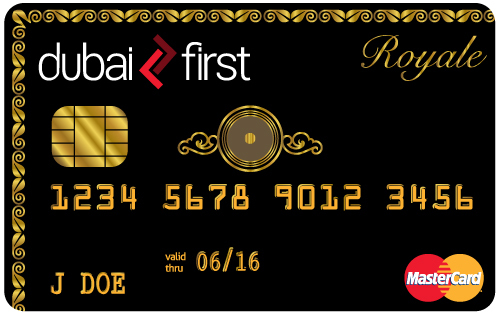 Created to meet the needs of a royal lifestyle, the Dubai First Royale MasterCard offers its clients exclusive luxuries including no-limit spending, a dedicated relationship manager and an exclusive offering of “Royale Lifestyle Management.” Only the elite few who are extended an invitation to this diamond-embedded black card are truly in the know, as no qualification details are available to outsiders. 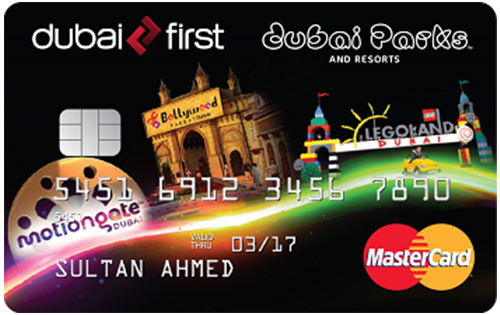 Designed for frequent visitors of Dubai Parks and Resorts, this prestigious travel card provides a complimentary annual pass with unlimited access to one park, savings on tickets, complimentary airport lounge access, and other travel benefits to make park visits more memorable. The card has an annual fee of AED 1,500 — which is about $408 USD– and applications can be submitted online with proof of income. 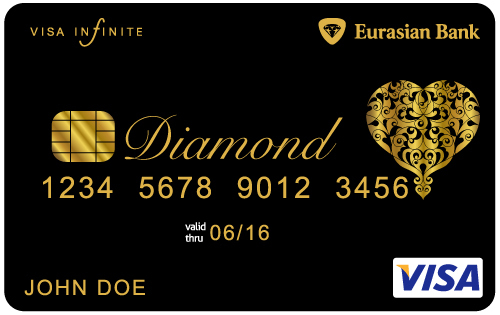 Featuring a diamond and gold ornament, the Eurasian Diamond Card Visa Infinite is a sign of wealth and elegance through and through. This Visa black card cannot be bought, according to the Eurasian Diamond Club site. The black card Visa requirement for this exclusive card is a personal recommendation from either the Eurasian Bank’s Management Board or from two current Eurasian Diamond cardholders. Elite cardholders enjoy spending as much as they want with this no-limit black Visa card. 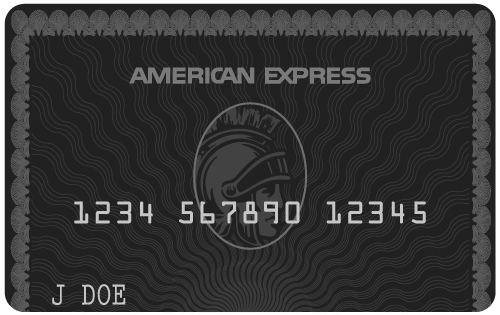 One of the most highly regarded of the elite black cards, the Amex Centurion Card requires a $7,500 initiation fee plus an annual membership fee of $2,500. According to an American Express representative, American Express Platinum Cardholders might be invited to the Centurion Card Membership, but the representative was unable to confirm the Amex black card limit for spending or any other members-only details. 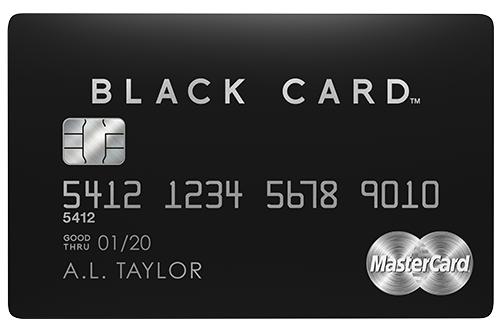 The exclusive black card from MasterCard is made from stainless steel and carbon and has a patented design. The annual fee is $495, which affords Luxury Card MasterCard Black Card members special perks like a luxe concierge service and gifts from renowned luxury brands. Perhaps most appealing is cardholders’ eligibility for MasterCard Priceless, a service offering curated, invitation-only experiences the company described as once-in-a-lifetime. 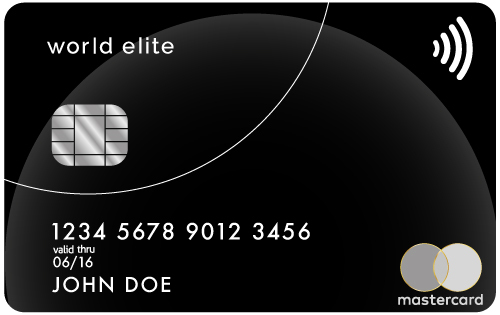 Ideal for a world traveler, the World Elite MasterCard provides exclusive worldwide travel privileges for its cardholders. From VIP status at thousands of hotels and access to luxury resorts, to complimentary upgrades on hotel rooms and flights, this black card offers clients a host of special benefits. Concierge services are available 24/7 to help clients get a hold of elusive items or coveted dinner reservations, among other tasks. You must call the company for an application or be invited to apply. 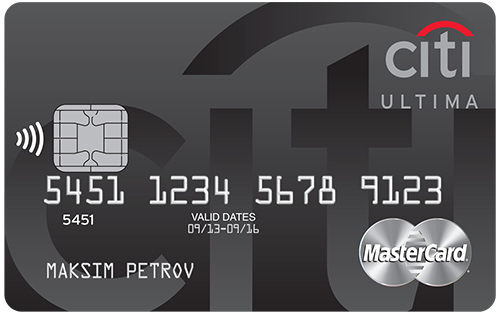 Available only to select customers, the Citi Ultima MasterCard gives cardholders special status. Customers with this black card MasterCard get help from the concierge whenever they need it, no matter where in the world they might be at the time. The black card credit limit goes up to about 1,500,000 RUB — about $22,497 USD — and the annual fee is approximately 15,000 RUB (about $225 USD). Cardholders also enjoy Priority Pass membership, which offers access to airport lounges in more than 100 countries. 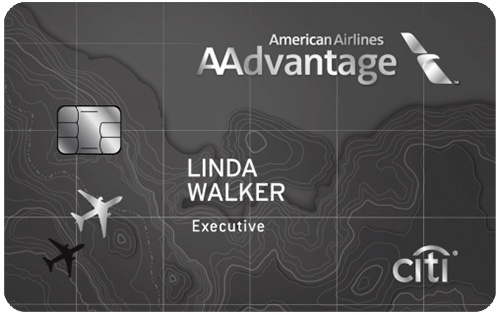 Maximize the benefits of an Admirals Club membership as a frequent flyer of American Airlines with this prestigious credit card. You’ll earn 50,000 American Airlines AAdvantage bonus miles after making $5,000 in purchases within the first three months of opening your account. You’ll also enjoy premium travel perks with this black MasterCard, including a VIP experience at the airport, access to the Admirals Club lounge and rewards for every dollar spent. Designed for active travelers, the Citi Prestige Card allows you to earn ThankYou Points for every dollar you spend and to take advantage of travel benefits, including an annual $250 air travel credit to cover flight-related expenses, a complimentary fourth-night stay at your hotel of choice when booking through the Citi Prestige Concierge program, and complimentary access to VIP lounges through Priority Pass Select. The annual fee is $450 for the primary cardholder. Just know that the card isn’t accepting new applicants at the moment. How’s that for exclusivity? Applications for the card will be available in January 2019. 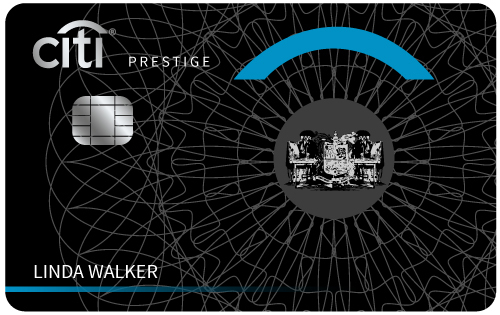 Provided by Chase, this black credit card is ideal for loyal Ritz-Carlton guests who want to earn rewards for stays at Ritz-Carlton and SPG hotels or enjoy an upgraded stay at the Ritz-Carlton Club. Cardholders enjoy benefits such as earning six points for every dollar spent at participating properties and a $300 annual travel credit. 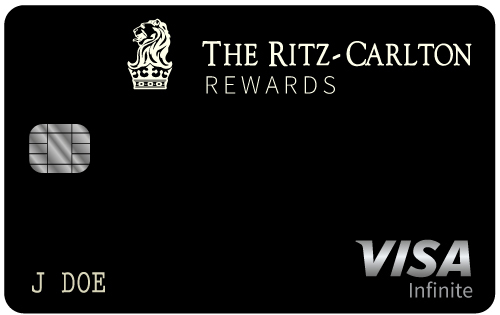 However, like the Citi Prestige Card, the Ritz-Carlton Rewards Card is not currently accepting new applicants. The following black cards are still available or are currently in use but don’t compare to the top 10 cards in terms of perks, black card requirements and flexibility. 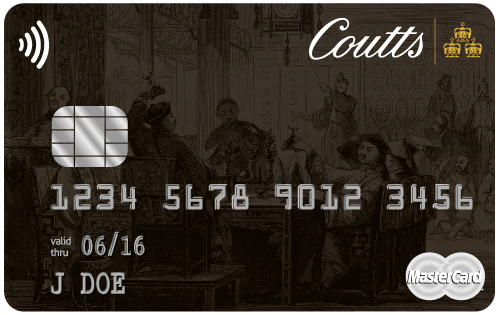 Available exclusively to Coutts clients, the Coutts World Silk Card features custom-tailored services and a high monthly credit spending limit that’s determined based on the company’s credit assessment of you. The Coutts concierge service takes care of everything from flights, entertainment event tickets, hotel accommodations, car transportation and custom requests. Clients also enjoy luxury gifts from Coutts and never pay an annual fee. Perhaps once the most exclusive of Visa cards, the Visa Signature Card is now more widely available. This black card by Visa features access to everyday benefits as well as special perks and discounts on luxury hotels. Customers also enjoy round-the-clock concierge services for free. 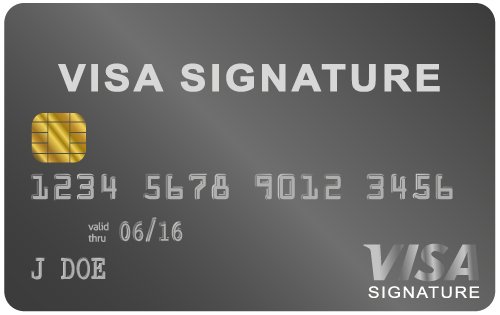 Several different versions of the Visa Signature credit cards are now offered by partners like USAA, Bank of America and Nordstrom. 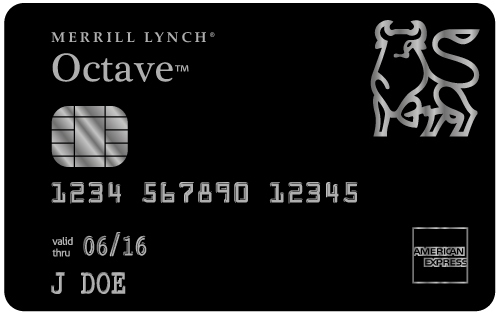 If you hold enough assets — reportedly $10 million minimum — as one of Merrill Lynch’s highest-net-worth clients, you might be invited to the super-exclusive Merrill Lynch Octave Black Card. With its annual fee of $950, cardholders get a return on what might be their most expensive credit card investment once they gain plus-level status by spending at least $50,000 per year. The higher-level status provides $350 in travel fees, including upgrade fees and flight cancellation fees. Cardholders enjoy spending with no limits. 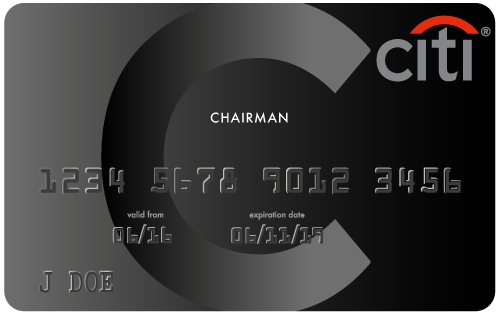 The Citigroup Chairman MasterCard is exclusively for elite cardholders and grants access to the usual perks such as a 24/7 concierge service. It also gives you access to airport lounges and travel upgrades, all with a sky-high $300,000 credit limit. Click through to read about the credit cards that ultra-rich celebrities like Oprah and Warren Buffett use. Sabah Karimi, Laira Martin and Joel Anderson contributed to the reporting for this article. Methodology: GOBankingRates.com identified the top black cards by analyzing VIP perks and rewards, exclusivity, card materials, fees and other factors. All fees and rates are subject to change at the credit card issuers’ discretion. Some bonus offers might no longer be available on the credit card issuers’ websites, depending on how you access the web page. Disclaimer: This content is not provided or commissioned by the bank advertiser. Opinions expressed here are the author’s alone, not those of the bank advertiser, and have not been reviewed, approved or otherwise endorsed by the bank advertiser. This site may be compensated through the bank advertiser Affiliate Program. Reward yourself with the American Express Platinum's benefits. These cards require little or no credit history to open.